Miller Grove High School welcomes local Orthopedic Surgeon Dr. Augustine Conduah of Stonecrest Orthopedics and Sports Medicine. 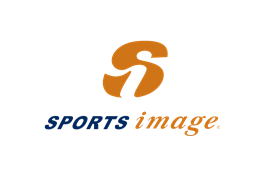 Atlanta, GA, August 4, 2014: Sports Image Inc.® in Georgia is proud to announce DeKalb Medical Physicians Group has signed a two-year commitment as title sponsor of the Miller Grove High School basketball organization. Dr. Augustine Conduah, orthopedic surgeon at DeKalb Medical Physicians Group Stonecrest Orthopedics and Sports Medicine (located across from the Mall at Stonecrest in Lithonia, GA), is personally leading the charge for Miller Grove High School and will be the primary physician for the Miller Grove basketball team as well as the high school. 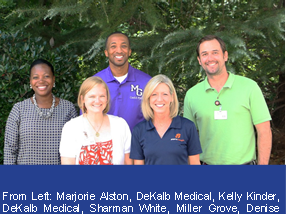 DeKalb Medical Physicians Group is part of Atlanta’s DeKalb Medical network of healthcare services. This means that patients are able to promptly obtain a full range of medical services and diagnostic tests, including X-rays, CT scans, MRI and ultrasound at any of the DeKalb Medical facilities that are most convenient. This entry was posted in News and tagged Advertising, Art Picus, Atlanta, Dayton, DeKalb Medical Physicians Group Stonecrest Orthopedics and Sports Medicine, Denise Picus, Eric Horstman, Flyin' to the Hoop, Franchise, Franchisee, Georgia, High School, Lithonia, Miller Grove High School, Ohio, Revenue, Revenue Generation, Revenue Sharing, Sharman White, Sponsors, Sponsorships, Sports Image, Sports Marketing, Sports Programs. Bookmark the permalink.